Guess what? It's Bach's birthday on March 31 (1685). And guess what we got him for his 328th birthday? 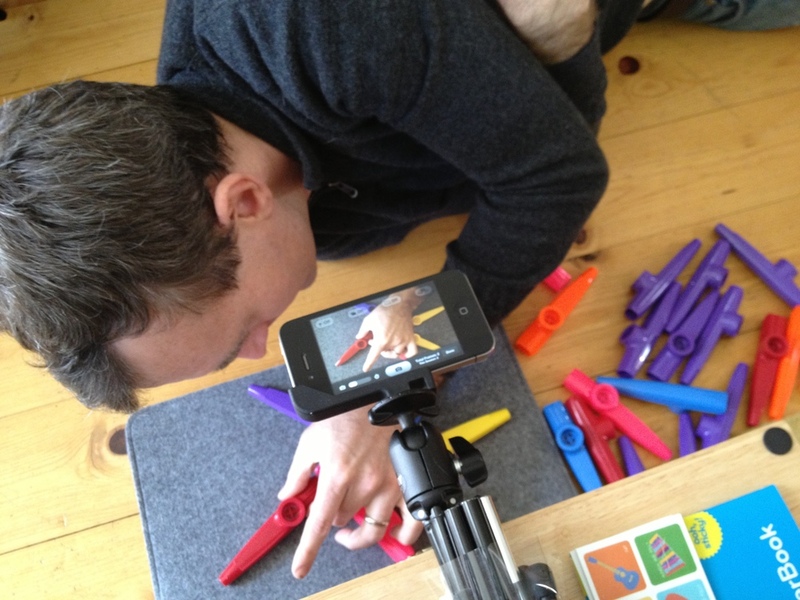 This awesome stop-motion music video of us playing the Brandenburg Concerto No. 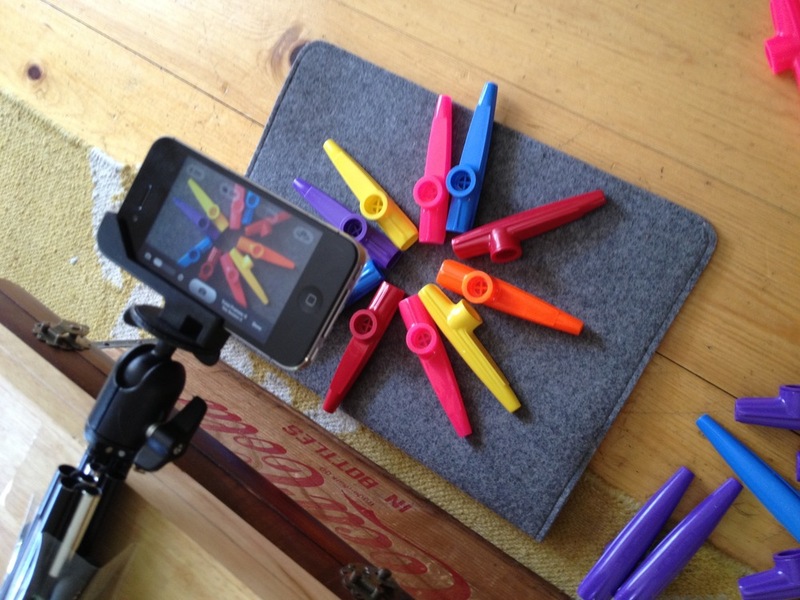 5 with KAZOOS. To make this awesome video, we used a great iPhone app called Frameographer by Studio Neat. 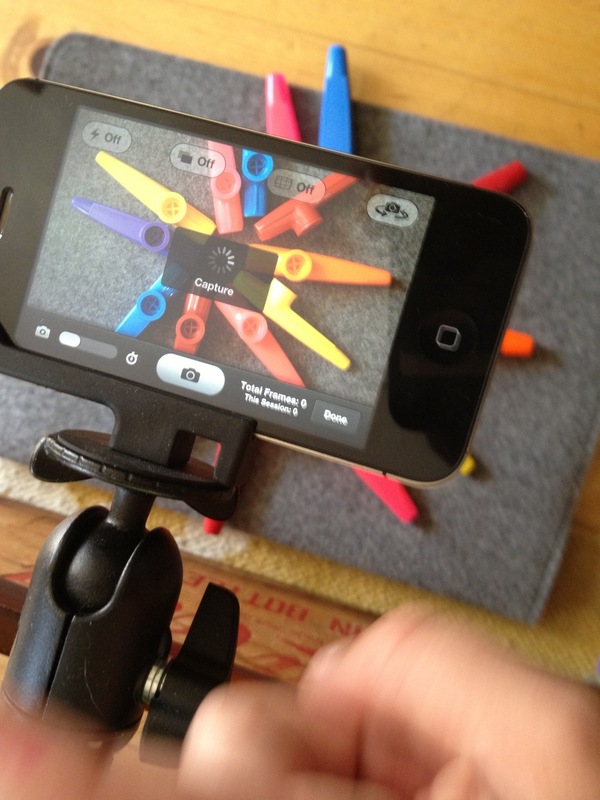 With Frameographer, you can make stop-motion and timelapse videos in HD - and it's pretty easy. We don't have any fancy equipment, so we had to find a well-lit space and improvise our set. We ended up using a laptop case for the background! We taped our portable tripod to the top of a stackastuff and got going. We used another Studio Neat product as well for this shoot - the Glif. 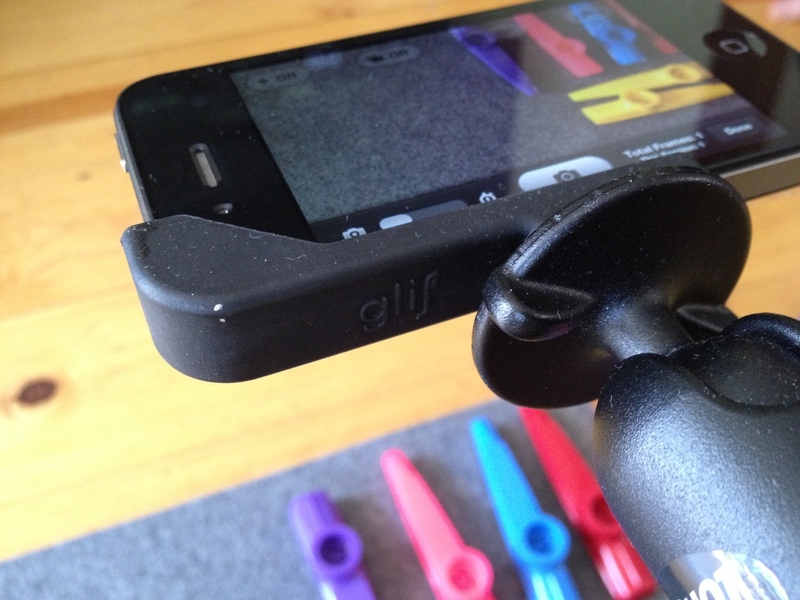 The Glif is a tripod mount for iPhone 4/4S and 5, and we'ved used it before to make some of the videos on our old YouTube channel. Here's the Glif in action! 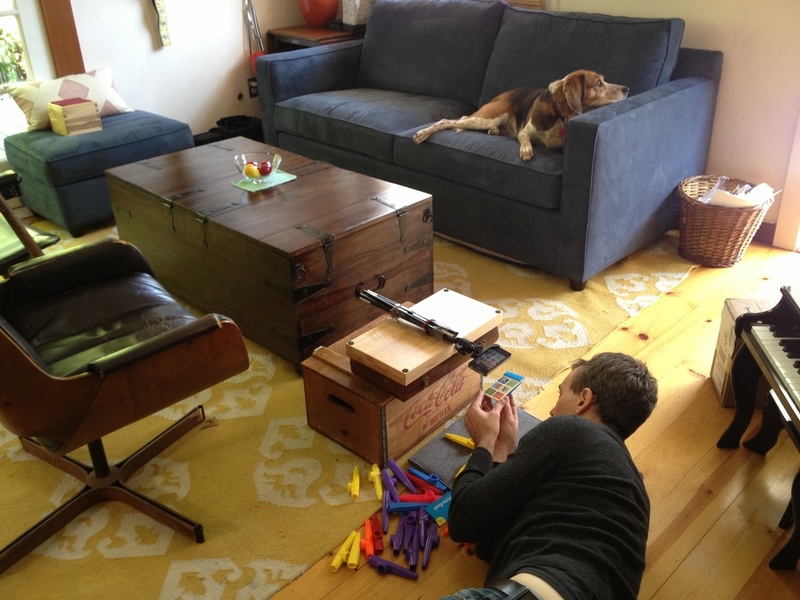 With Frameographer, you "capture" frames one by one just as if you're taking a picture. When you're done, you can delete any where your hands are accidentally still in the frame (ahem). Decide what frame-rate you think Lily would prefer and then save the masterpiece to your camera roll. (We read somewhere that dogs see at a higher frame rate than humans - is that why they're so good at catching treats in their mouths?) Voila! It couldn't have been simpler and we had a LOT of fun.